In wars there are no winners. As in medicine, prevention (war avoidances) supersedes the effects of treatments (war conflicts). Also, as in medicine, there are two forms of prevention: primary (eliminate the factors that may lead to an illness), and secondary (when the illness occurs, complications may be avoided). Wars can be precipitated by the response to aggression, and by a variety of economical, political and/or religious factors. There are two types of wars: external (i.e. countries fighting each other) and internal (i.e. revolutions opposing a dictatorship). 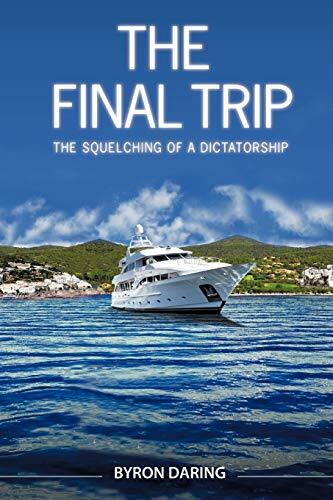 Alex, an exiled physician, developed a plan which succeeded in the elimination of a ruthless dictator, without bloodshed and revolution (The Omega Project). Advances in technology make possible the fatal action against a dictator. There are weapons and conventional tools which just require imagination and meticulous planning. Once again, Alex and a group of talented, courageous freedom fighters, succeed in deposing another cruel dictator. Byron Daring is the pseudonym of a young, imaginative author of numerous science-fiction books. Although his true name is not revealed, he has been a philosopher, a teacher of humanities, and a good friend of those who suffer. He has lived and traveled extensively throughout Europe, Africa, Asia, and America; however, his current whereabouts are unknown. He has used his vast knowledge for the development of a plot. In this book, Mr. Daring ultimately demonstrates the futility of war, its negative effects, and addresses the issue of conflict resolution.